As if nature hadn't dropped enough snow on New England so far this year, one Boston resident says that a local business is making a difficult winter much worse for her. Amanda Duquette says that multiple times this season, the owner of South Boston Auto Car & Truck Repair has moved the snow from its lot onto her car, completely burying it. Living in South Boston, Duquette is used to battling the snow and parking problems. But after leaving her car parked on East 2nd Street before the first storm, she says she returned a few days later to find her car gone. "You couldn't even see it," she said. "I thought I'd been towed." As the wave of heavy snowstorms continues, with tall mounds already on the ground, people in the region are wondering where to move the snow. Duquette says the car was buried under a snow bank about eight feet high, left there, she says, by the business owner. 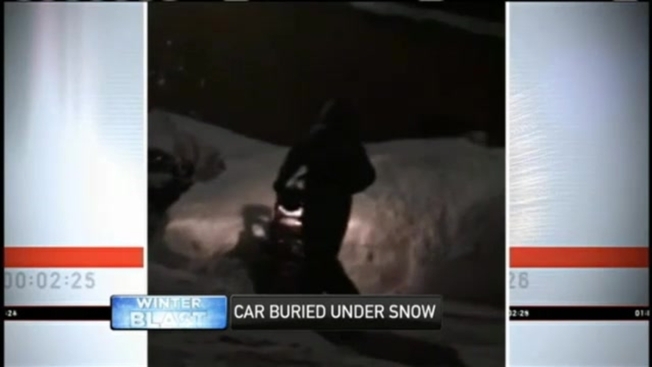 She says she has since cleared her car out multiple times, each time returning to find it reburied. "He shouldn't be able to just do this and have people suffer through it," said Duquette. Other neighbors say they have also witnessed the business owner repeatedly dumping snow from his property onto city streets, sidewalks and cars. "Every storm, he does this," said Heather Ward. "It's not anything different." A video taken by a neighbor purportedly shows someone snowblowing the snow onto the cars and sidewalks. 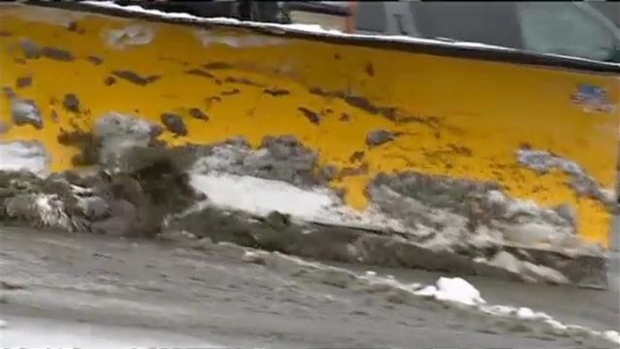 Another video even apparently shows a shoveler moving snow neighbors say the company threw into the street. That shoveler appears to be moving the snow into a shoveled-out parking space. Initial attempts to reach the business owner were unsuccessful. NECN eventually got in touch with him, and he denies the allegations. Boston Public Works Commissioner Mike Dennehy says the city is aware of the situation. "I'm familiar with the address," he said. "It's blatantly being pushed." Dennehy says code enforcement has visited the business at least twice this winter, each time issuing a $200 fine. But he says, right now, that is the only action they can take. "Barring parking an officer there and waiting for them to try tomorrow when it happens again, I don't know if there's any recourse that we can do." Mayor Walsh tells NECN that it is the first station to be made aware that he is looking to address the situation. He says he met with his policy committee this week and is trying to figure out ways to increase those fines.